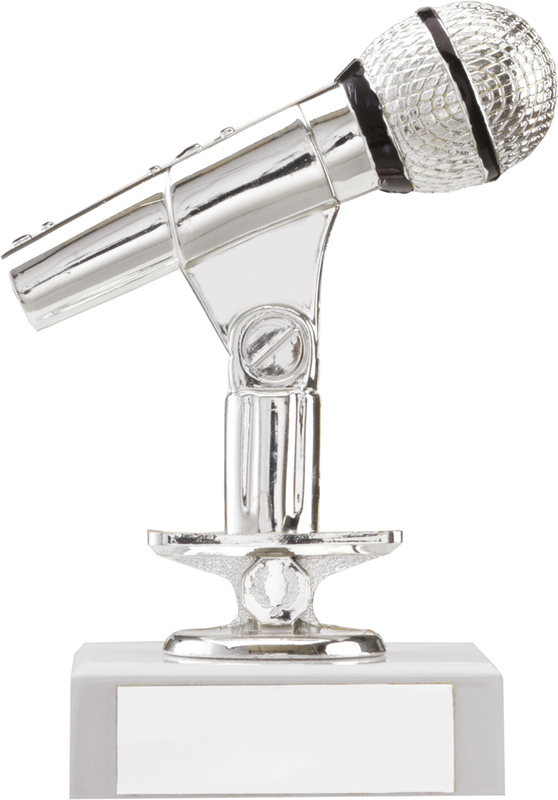 Microphone/Karaoke Achievement Awards. Each trophy comes with a free engraved plate with your required text. Silver microphone with black detail, black riser and mounted onto a marble base. Please note the smallest size does not have a riser. Available in 5 sizes, 5 inch, 6 inch, 7 inch, 8 inch and 9 inch high.